The Search For Santa Paws premiers on Blu-ray & DVD today! 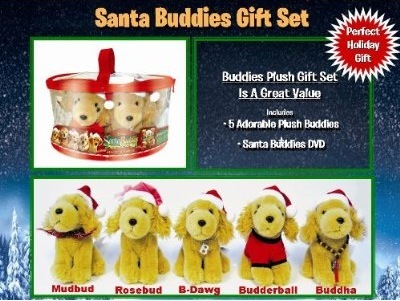 Last year we gave Santa Buddies gift sets to 3 lucky PetsBlogs readers. This year we’re giving away 3 of The Search For Santa Paws Blu-ray + DVD Combo Packs!! The world’s most talented pooch is back in a heartwarming and hilarious sports adventure. When Buddy meets Molly and they have puppies, the hotshot hound is in for an all-new challenge, but the fun is just beginning. This exciting family favorite features Buddy joining his teenage owner Josh on the field in pursuit of the state soccer championship. From the creators of Santa Buddies and Space Buddies, the new AIR BUD: WORLD PUP SPECIAL EDITION will give audiences of all ages something to cheer about! The holiday season is nearly upon us and while getting ready for a Thanksgiving feast, we’ve decided to host a quick giveaway that will end on the biggest shopping day of the year. So give this a quick read and grab yourself a chance at a Plush Prize Pack that includes a DVD and these 5 adorable little stuffed animals! 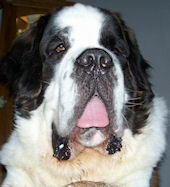 I’m pleased to announce the 2 My Marley Moment winners here on PETSblogs today. Now that everyone has been notified and responded, I’m free to write a bit about the winners and what they’ve won.